Ladies Flat Front Needlecord trousers. Aubergine, Navy, Olive. good quality. sent 28" length as i had ordered 30" which was too long, very quickly. thanks. Good fit and a lovely quick delivery. Thank you. 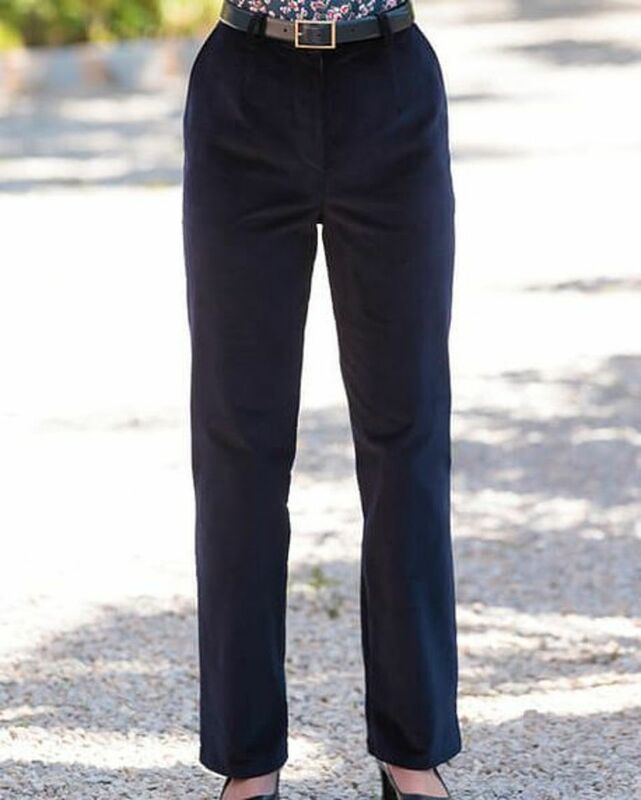 Ladies needlecord trousers cut from 97% cotton/3% elastane, adding a slight stretch to the fabric for comfort. Flat front style with front zip and button fastening, side back waist elastication, belt loops and side pockets. These smart trousers can easily be dressed up or down and are the perfect staple piece to add to any wardrobe. Available in Lengths 28" or 30"
"Lovely fit and they look good "